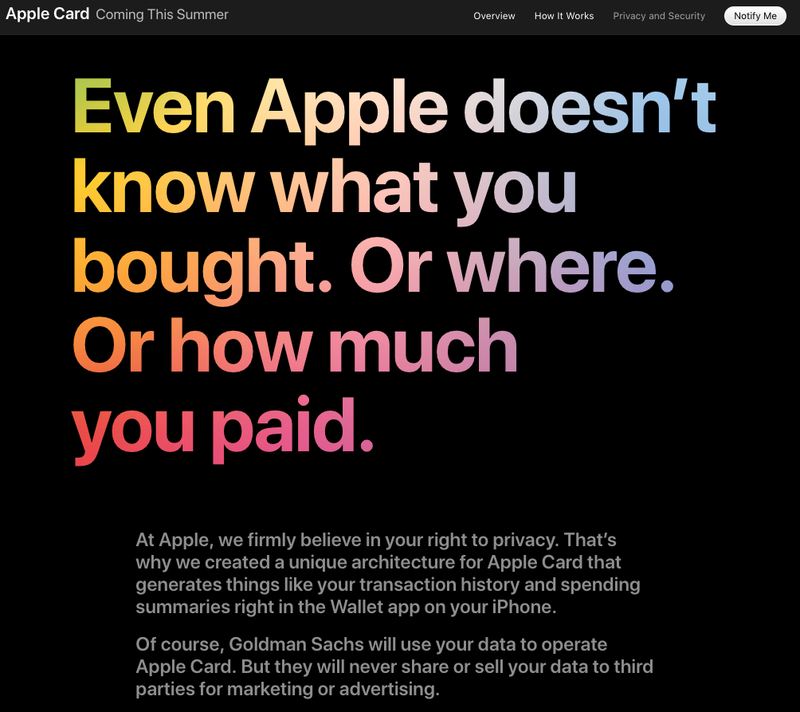 Apple’s latest hyped product, the Apple Card, a partnership between Apple and Goldman Sachs, first came to light in mid-2018, however, had long been foretold. Apple Pay was announced in late 2014, and since then, there has been much talk about which of the big tech firms people would trust their banking and finances with. Apple was generally not at the top of the list, with Amazon and Paypal rating higher. Trust and convenience are interesting bedfellows though; convenience will edge out trust for the majority of people in their day to day lives, and the Apple Pay experience is pretty slick for the most part. Australia’s adoption of contactless payments has always been above the curve compared to the rest of the world. In classic Apple style, info about Apple Pay usage has been tight, however, data released by both Apple Pay partners, Commonwealth Bank of Australia and ANZ shows huge take-up by their customer base; easily in the millions. 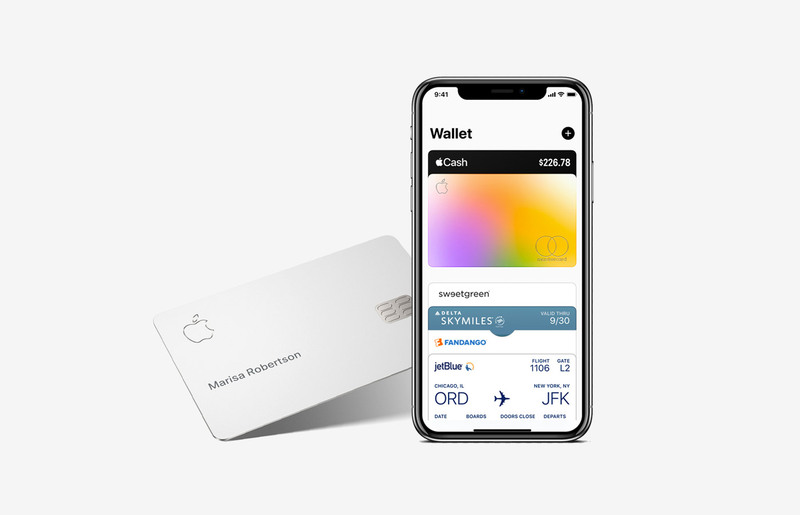 Beyond Apple’s eye for design flair, the Apple Card experience looks to solve a host of long-held grievances that people had with their credit card. I want to ponder the commercial side of the equation for Apple and think more broadly about where Apple might take this in the context of their other strategic plays. No one but a bank likes a fee, and credit cards are amongst the biggest revenue spinners for banks in Australia. A 2018 Reserve Bank of Australia report into banking fees found that “Fee income from credit cards continued to be the largest single source of banks' fee income from households,” with $1.6b in revenue generated in FY17.Guess what the Apple Card doesn’t have? The Apple Card experience also makes it easy to understand how much interest you’ll accrue based on any given repayment amount, with a key part of its value proposition on minimising your interest payments. The use of colours within the ‘payment amount’ slider for paying off your balance is a subtle, perhaps subconscious way to indicate that not paying the full amount is a bad thing. The monetisation or valuisation (I think I just made that up..) of transaction data has been a unicorn for financial services institutions for eons. Apple has long fought for its user's privacy, and the Apple Card holds to that. They’ve emphatically stated that they won’t be collecting your payment and transaction data in their servers; it will all live on your device. So if the Apple Card has eschewed the various ways that financial institutions usually make money on credit cards, and are even giving back percentages of transactions in real time cash, how is Apple making money on this thing?! It’s all about the long play for Apple here; owning and then optimising numerous (i.e. most) points along the digital purchase journey. Could it be akin to what Amazon has done with the experience of buying physical goods? The customer base and distribution are all wrapped up in the 1.4b iPhones out there in the world, and iTunes and the app store are the marketplaces where the majority of Apples $37.1b in service revenue has come from so far. Apple has now added Apple Arcade (gaming) and Apple TV+ to that mix (The Apple equivalent of Amazon Twitch and Prime streaming). Apple Pay was the first foray into the payments side of the equation, and now they’ve partnered with a (relatively) new entrant into the consumer credit card space to double down on that effort. With no legacy business model to compete with or internal bureaucracy to fight, partnering with Goldman Sachs is a great move. A smaller clip of a brand new ticket works for both Apple and Goldman Sachs because making money off the credit card in and of itself is not the goal. With even more users in the Apple ecosystem through a reasonably compelling offering and slick, safe and private payment experience, more businesses will want to be where the potential and existing customers are. Apple will earn a percentage on purchases with those businesses, and the cycle continues. My other view of Apple Card is that it’s a strategic play into Apple’s broader Health aspirations. There are intrinsic links between physical, mental and financial health; when one starts to slide the others are at risk of sliding too. 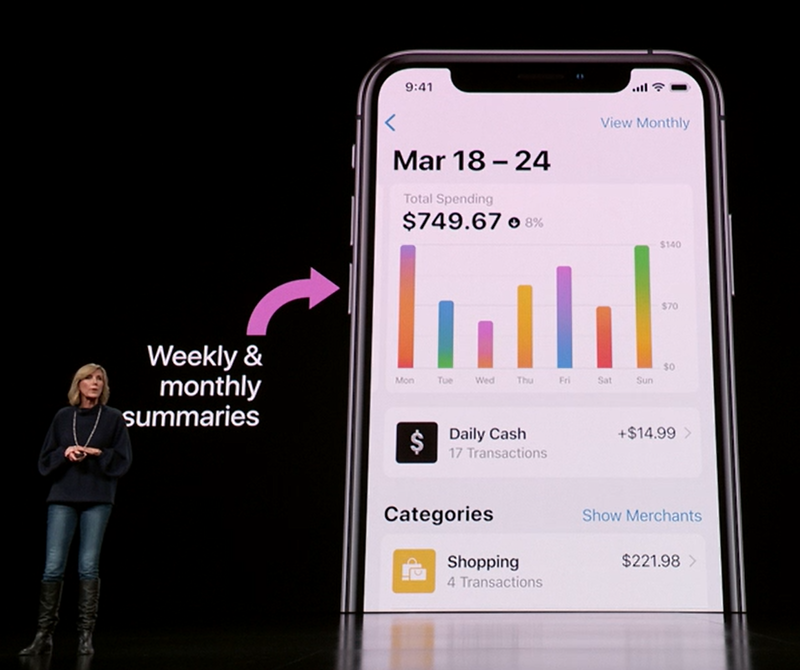 Apples VP of Apple Pay, Jennifer Bailey, said that the card is “designed for a healthier financial life” and no one has cracked the code with a great financial health experience.Is this Apple having a crack at something many others have struggled with? Apple is attacking physical health with a digital lens head on, and apps such as Headspace, Calm and ustwo’s Moodnotes, Sway and Pause have all made inroads into digital mental well being. Is it possible to think that one-day FinanceKit might sit alongside HealthKit, ResearchKit and CareKit? I’d like to think so! So what might the Apple Card mean for Australia? That’s a tougher question to answer. In the same way that the Amazon shopping experience sets a new bar for all e-tailers, Apple’s continued push into financial services will redefine the benchmark for incumbents’ digital experiences. Commonwealth Bank and Qantas Money’s digital experiences are the strongest locally, and Amex launched a new experience last year that was light years ahead of what was there previously, but you need more than just a good looking app. The trick for any organisation looking to diversify away from their current bread and butter is to find services and experiences that aren’t a huge step away from what they do already, yet build upon it in ways that make sense for their customers or existing assets. Think Uber and Uber eats or Qantas and Qantas travel money. Apple, Apple Pay and Apple Card are enabling experiences where people spend all their time - staring at their Apple devices - and building higher and higher walls around that garden with compelling services and great experiences. We often talk to clients about making sure they’re going where their customers already are; trying to get customers to your brand new thing is an increasingly tough exercise to undertake. Where are your customers already in either your own, or someone else’s ecosystem, and how can you add or extend value within that experience? Steve is Lead Design strategist at ustwo Sydney. He has worked in the innovation space at some of Australia’s biggest brands, most recently at Commonwealth Banks Innovation Lab, before joining ustwo. Steve enjoys a whisky and snowboarding in Japan. Not at the same time though.